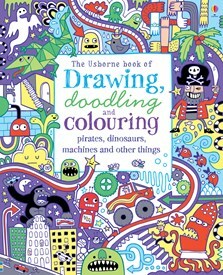 A bright and busy, draw-in activity book packed full of things to doodle, draw and colour. Each page offers inspiration in the form of colouring activities or suggestions for drawings and doodles, with lots of space for children to come up with their own ideas too. A substantial and long-lasting activity book that children will return to again and again.